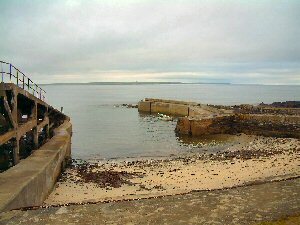 The slipway at the harbour dates from 1910. It is made of ferro-concrete and was the first of its type to be constructed in the UK. The lifeboat used to be hauled by horses from Wick to Ackergill shore until 1878 when the lifeboat was set up there. The harbour is mainly used now for crab and lobster fishing.